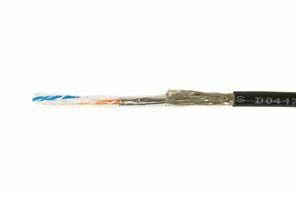 Category 7 cable, more commonly known as a Cat7 or Cat-7 cable, is used for the cabling infrastructure of Gigabit Ethernet. 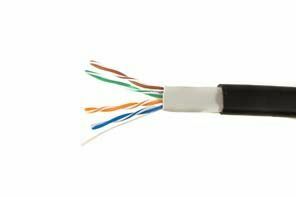 Cat7 cable was developed with strict specifications on crosstalk and EMI protection. 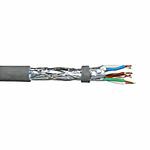 The cable features four individually shielded pairs as well as an overall cable shield to protect the signals from crosstalk and EMI. 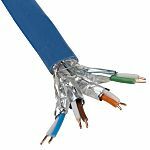 Cat7 cables are designed for use in Industrial Ethernet networks, designed to withstand the entire spectrum of environmental and mechanical hazards, from temperature extremes and sunlight to solvents, oils, chemicals and moisture. Cat7 can support 10 Gbps, but laboratory tests have successfully shown its ability to transmit up to 40 Gbps at 50 meters and even 100 Gbps at 15 meters. The cabling can support frequencies of up to 600 MHz. 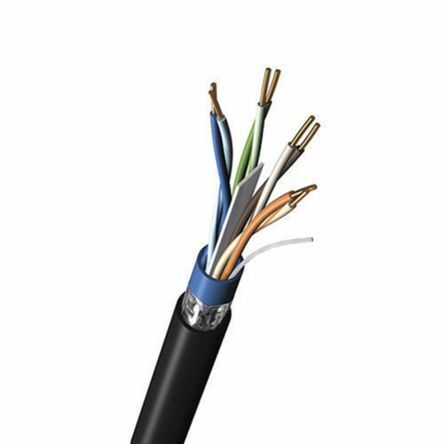 Cat7 cable is commonly terminated using a GG45 connector, which is backwards compatible with the RJ45 (8p8c) connectors used on Cat6 or Cat5e cable. GG45: The GG45 connector has four additional conductors that provide support for frequencies of up to 600 MHz. TERA: Cat7 cable may also be terminated using TERA connectors, which have a unique footprint and is not compatible with a standard RJ45 (8p8c) connector. The TERA connector is also capable of supporting frequencies of up to 600 MHz. 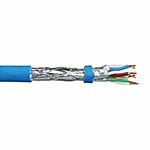 Four Cat 6 23 AWG Bonded-Pairs solid bare copper conductors, polypropylene insulation, FRPE spline center member, inner PVC jacket, overall Beldfoil® Shield (100% coverage), industrial grade oil- and UV-resistant PVC outer jacket.